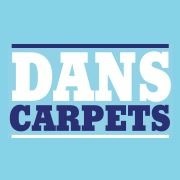 Dans Carpets - Carpets/Flooring based in Stourbridge, West Midlands. Dan Dan the carpet man. I have been trading as a sole trader now for around 12 years. I supply and fit carpets and flooring including soft vinyl. I save people £££s on high street prices as I supply straight from manufacturers and I have no major overheads.